The Rev. Norman Elliott could keep a room rolling with laughter, and often did, but the moment I remember best was when he wept. Elliott, whose proper title was The Venerable Norman H. V. Elliott, Archdeacon of the Southcentral Deanery, died Friday at age 97, still serving Alaska Episcopalians, as he had since 1951. I had known him since my childhood attending church with my family, but my respect never stopped growing. Elliott's energetic caring for others, up to the week before he died, was the best example I have of how to grow old—and how to live. His time as a young priest from Detroit assigned to the upper Yukon River region kept him supplied with stories for a lifetime, with laugh lines always at his own expense. Elliott worked under Bishop William Gordon, the flying bishop, whose hearty priests brought every kind of support to villages. My father passed on one of these stories as we remembered Elliott together this week. On one occasion, Gordon's plane got stuck on a frozen lake and he put Elliott out to push. It worked. Elliott got the plane moving, then watched as Gordon sped down the lake and took off, leaving him behind. Elliott traveled by dog sled and boat to cover a vast swath of Interior Alaska, serving in the same position as Archdeacon Hudson Stuck, who during the Gold Rush organized the first successful ascent of Denali and campaigned around the United States to expose how newcomers exploited Alaska Natives and stole their resources, causing starvation in the villages. Conditions weren't much better in the 1950s. Alaska Natives still died of preventable diseases at staggering rates in villages without communications or access to medicine or other modern services. In various villages at various times, Elliot did every kind of task — he was a policeman, a tax collector, a school teacher, a delivery person and a messenger. When he arrived in one village to do church services, he first vaccinated everyone for typhoid. He usually carried penicillin in his sled bag, giving anyone who needed it an injection in the rump, including any sick dogs in his team. Elliott told the story of a Sunday morning when he was serving Eagle. The weather was too cold to drive the dogs, so he walked 3 miles to Eagle Village for services. It was 60 below. The villagers hadn't expected him to come in such cold, so they hadn't lit the stove in the church. He decided to do the service anyway. He later supposed he could have made the Guinness Book of World Records for the coldest church service ever. He said he kept the sermon brief. Then he walked back. Bishop Gordon sent Elliott to Anchorage with orders that he learn to fly a plane. He said he wasn't very good at it, dubbing his yellow Piper, "The Drunken Canary." But he only crashed once, when he was flying a doctor and nurse from Venetie to Fort Yukon, and the entire fabric roof of the plane ripped off, leaving the pilot and passengers looking up at blue sky. Elliott said he asked the passengers if they thought he should try to make it to Fort Yukon. They said, "You're the pilot." Afraid the flapping fabric would wrap around the tail, Elliott landed the plane on the tundra, with everyone safe but upside down. The worst part was the mosquitoes. A military plane dropped a radio. Elliott used it to ask for mosquito netting. Instead, they dropped a gun. Elliott radioed back, "They're not that big." Elliott became rector at All Saints Episcopal Church in downtown Anchorage in 1962, serving there until his retirement in 1990. He was socially conservative, but as times changed, he was open to seeing things in new ways. Once he opposed women in the priesthood, but before he died was comfortable taking Communion from a lesbian priest. After the Episcopal church convulsed over having homosexual bishops, Elliott came back to All Saints, despite his age. 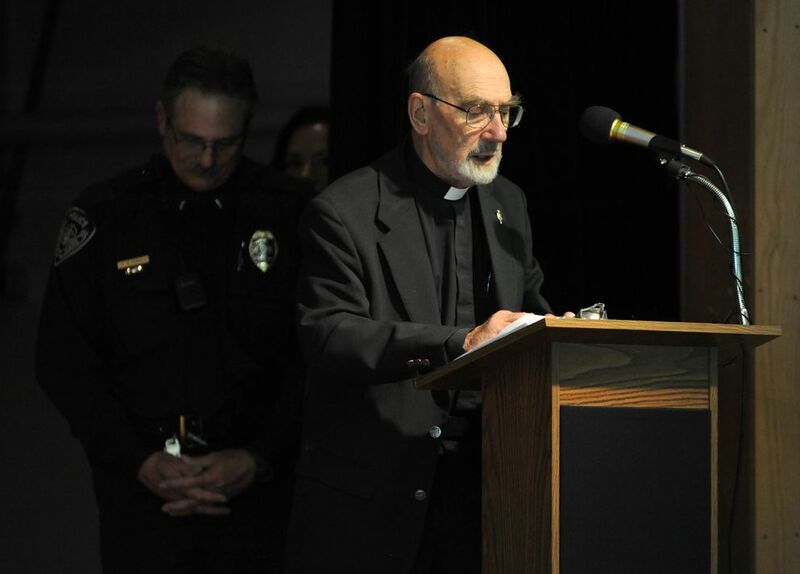 "He was able to calm troubled waters," said Alaska Bishop Mark Lattime. "He was able to be the nonanxious presence in a situation like that. And Norman was very faithful to the institution of the church. He knew that it is bigger than each of us." Even late in his life — right up until he died — Elliott continued to care for the sick. He visited each of the Anchorage hospitals, always up to date on who needed prayers and visits. Villagers whose families he had known for generations would call ahead when a loved one was headed to Anchorage — grandchildren of children he had known. Nurses in hospital wards loved him and would tell him who needed a visit. After he lost mobility, he would pull up to the hospital and have the valet parking attendant get his wheelchair out of his car. Front desk workers would come out to help him through the door and to the patients who needed him. Five years ago, my mother was one of those patients. The daughter and sister of Episcopal priests, she knew the hymnal by heart. But in her final week with breast cancer, spiritual peace eluded her. She was angry to be dying at 77. Elliott, already 92, was chatty and busy in the hospital room, cheering everyone up. Then he shooed us out and sat down with my mother, holding a private church service for her, and giving her Holy Communion for the last time. When he left, I saw new peace in her eyes. Lattime and I discussed how many hundreds or perhaps thousands of times Elliott must have said prayers with the dying. He let go of life himself Friday only after hearing those prayers. A few years ago, I interviewed Elliott for public television. While the cameras rolled, I thanked him for his visit to my mom. And, to my surprise, he couldn't respond, speechless. That was the moment I will remember him best, as he wept. The views expressed here are the writer's and are not necessarily endorsed by Alaska Dispatch News, which welcomes a broad range of viewpoints. To submit a piece for consideration, email commentary(at)alaskadispatch.com. Send submissions shorter than 200 words to letters@alaskadispatch.com or click here to submit via any web browser. Charles Wohlforth was an Anchorage Daily News reporter from 1988 to 1992, and wrote a regular opinion column from 2015 until January 2019. He is the author of a dozen books about Alaska, science, history, and the environment. More at wohlforth.com. This historic South Addition house might get demolished. A neighbor wants to move it a block to save it. We’re happy, committed, we even built a house together. Should it bug me he doesn’t believe in marriage?